This issue will be the last under the "Green Newsletter" name. Beginning in January 2018, the newsletter will be renamed the "WE•Stand Newswire." 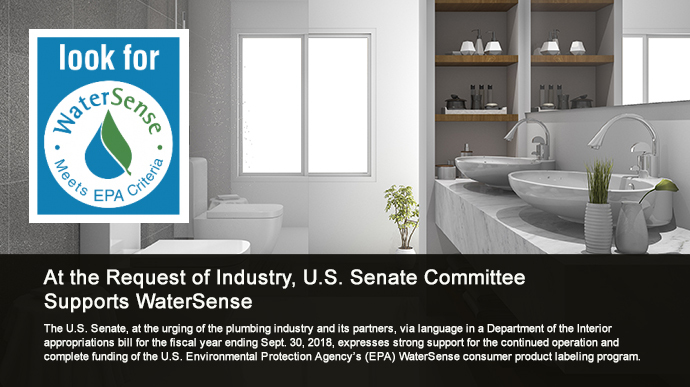 The content and focus — water efficiency and sustainable building practices — will remain the same, but the new name will mirror IAPMO's work in the publication of WE•Stand, the first ANSI standard that focuses solely on achieving safe and efficient water use in both residential and non-residential buildings. Please keep an eye out for it in your inbox. The 2017 International Community Plumbing Challenge (CPC2017) completed its Construction Week activities this month, delivering a sustainable upgrade of water supply, wastewater, and hand-washing facilities at an elementary school in Cicau Village, Cikarang, Bekasi (West Java), Indonesia. The International Association of Plumbing and Mechanical Officials (IAPMO) this month concluded Technical Committee meetings toward the ANSI-accredited consensus development of the 2018 editions of the Uniform Solar Energy and Hydronics Code (USEHC) and Uniform Swimming Pool, Spa and Hot Tub Code (USPSHTC). Acting Assistant Secretary for Energy Efficiency and Renewable Energy Daniel Simmons announced on October 16 the winning team of the U.S. Department of Energy (DOE) Solar Decathlon 2017 in Denver, Colorado. The Swiss Team took first place overall by designing, building, and operating the house that best blended smart energy production with innovation, market potential, and energy and water efficiency.